Westborough, MA (December 7, 2017): The Strategic Marketplace Initiative (SMI®), a non-profit, member-driven community of healthcare supply chain thought-leaders has released six new resources to educate the healthcare industry about the continuing evolution of supply chain across the continuum of care. 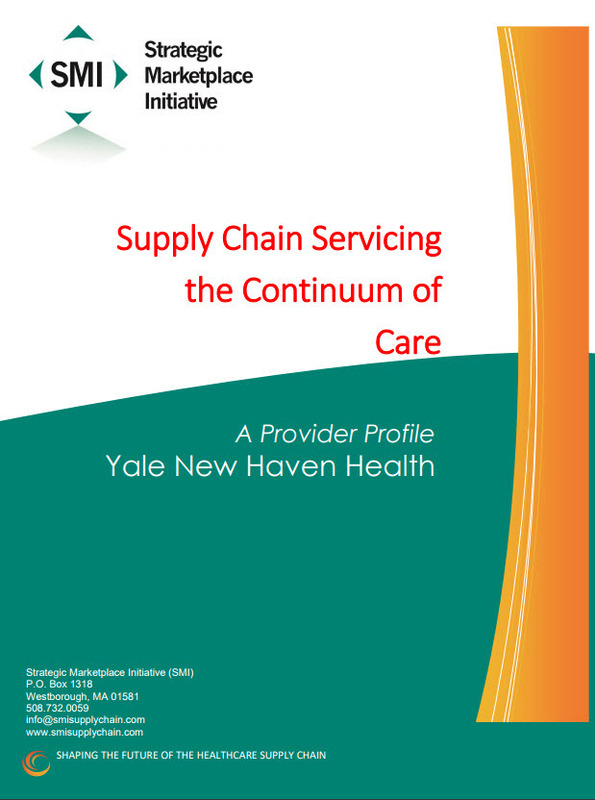 These new tools - called “Servicing the Continuum of Care,” - are available for download free of charge on the SMI website, and designed to help supply chain professionals understand the needs of the non-acute care market's supply logistics, cost management, and clinical integration. As the introduction of accountable care models and population health programs now shift supply chain systems to expand outside of the hospital, a team of SMI industry thought-leader members assembled these new tools to help supply chain professionals meet the demands of this changing marketplace. Recently SMI members agreed that the topic of supply chain across the continuum of care was the biggest challenge facing their supply chain program. There are six components available for download: a supply chain program handbook, two on-demand webinars and three healthcare provider profiles. The handbook explores the characteristics and components of non-acute care programs. The two on-demand webinars and three provider system profiles provide real-life examples of supply chain systems that currently service physician offices, patient homes, and other community providers. The health system programs featured are Intermountain Health Care, Texas Health Resources, Ochsner Health, Yale New Haven Health, and Advocate Health Care. To download this and other SMI tools and solutions, visit: SMI Tools and Solutions.